A lovely vista and view. That's a fine photo! I love the dark contrast, and the texture of the water. I really like this photo. The composition, the texture, the lighting. Love it. The multiple water textures and light tones frame the silhouette shapes beautifully. Great shot, the water acts as a mosaic. Wonderful picture, I love the pattern of the water. 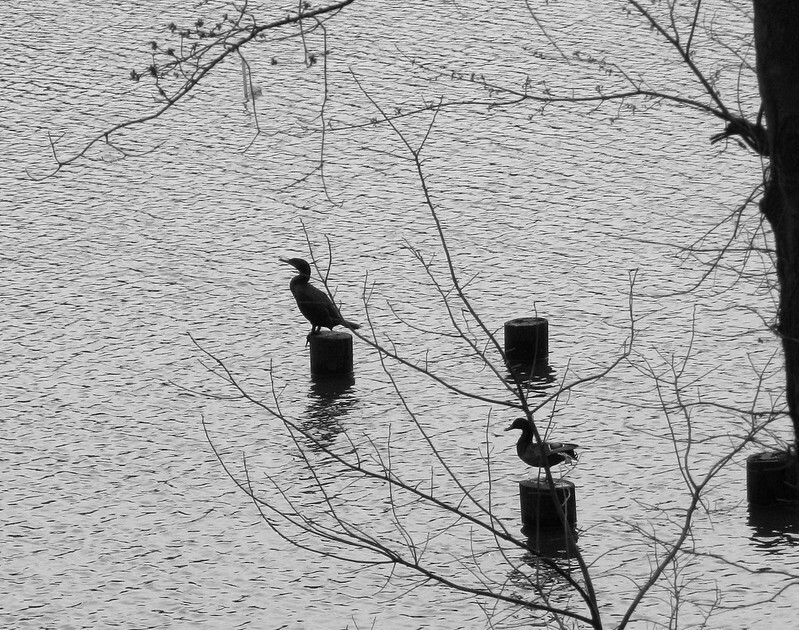 Fine shot of this cormorant and duck carefully ignoring each other. Like the graphic quality of your photo. Co-existing by ignoring each other! The water is so pretty in B&W.